Pondering a Peck of Perplexing Pepper Problems | Gardens Alive! Q: Mike: Every year my pepper plants stay small and I don't get many peppers. What type of soil do peppers thrive in? How much water do they like? A. Outside of garlic, peppers—both sweet and hot—are probably my favorite garden crop. But while garlic practically grows itself, peppers have actual needs. The first is warmth. Peppers are tropical plants and have NO sense of humor about chilly temps. But, as we will discuss in a moment, some varieties also take a long time to ripen up. So either start your plants a few weeks early and keep them inside under bright lights (or buy nice big healthy looking starts) until two weeks after your tomatoes go out; or put them out at the same time as your tomatoes, but protect the young plants with season extending devices like row covers, hot caps or 'Walls o' Water' until temps are summer-like. Or grow them in big pots (peppers take to containers very well) and bring the pots indoors (or cover them well) on cool nights. Peppers thrive in raised beds, and get sullen and moody in the compacted soil of a flat ground garden. They like a lot of sun—eight to ten hours a day is ideal—but they're also vulnerable to a condition called 'sunscald', where the fruits get sunburned. So if your plants are in full sun and summer is hot and un-cloudy, rig some afternoon relief out of shade cloth, row covers suspended a foot or so over the plants, or an old umbrella. Move container-grown peppers into afternoon shade or umbrella them after 3 on bone-bleaching days. 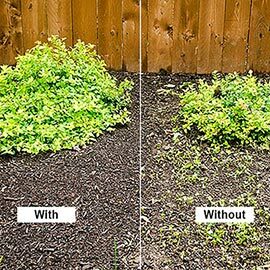 A one to two inch mulch of shredded leaves, compost, pine straw or other non-wood material will retain soil moisture, keep the roots of your plants cool during heat waves and prevent weeds from sucking up all the water. No wood, sawdust, shredded bark or other nonsense; and no mulch deeper than two inches. Q: I plant peppers (red, green and yellow) every year. I get some yellow banana-shaped peppers and green bell peppers before frost, but no red ones. Why? A. Because Maine has a woefully short growing season and full-sized bell peppers take a long time to ripen. Your banana (and other non-bell sweet pepper types) ripen up a lot faster than big fruited bells like the classic "California Wonder". And your so-called 'green peppers' are actually supposed to turn red, orange or yellow, but don't have the necessary time to do so. 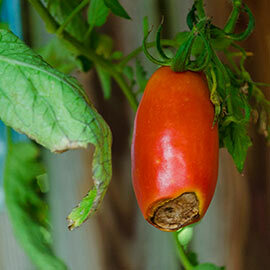 There are tomato varieties that stay green when ripe, but no peppers. 'Green peppers' are just unripe fruits, bereft of sugar, flavor and nutrition. But peppers take such a long time to fully ripen that they are the only crop whose 'days to maturity' numbers are a lie. With tomatoes, cukes and such, the 'days to maturity' listed on the plant tag or seed packet is the average number of days it takes a six-week old transplant to produce its first full-sized, ripe fruits. With peppers, that number is the date from six-week old plant to the first full sized greenie. It takes another two to three weeks for the big ones to color up—and in a Northern climate like yours, that generally takes you into late in the season, where shorter days and cooler nights slow plant growth dramatically. So grow small-fruited varieties, start with the biggest, strongest plants you can find, keep them warm early in the season, and pull off any new flowers that form after, say, August 15th. Those flowers don't have a prayer of becoming anything edible in your far Northern clime, and removing them will help ripen up the existing green fruits. Q. I planted a 'sweet bell mix' of red, orange, green and purple peppers last year. The purple turned purple, and I guess that the green were the color they were supposed to be; but the red and orange were still green at frost. They were transplanted into the garden the first week of June, set lots of fruit and had 10 hours of sun a day. Any thoughts? A. You also ran out of time. As we just diatribed, your so-called green peppers would have turned a final, ripe color of red, orange or yellow if they had had a few more weeks of warm weather. And purple is an in-between pepper color; not a final, ripe one. So-called 'purple peppers' go from green to purple to red, with the purple stage having some of the starchy bite of a green pepper and some of the sugars of the final red stage. This year, try some varieties with shorter maturity dates; it's hard to grow supermarket-sized monsters to ripeness above the Mason-Dixon line unless your timing and the summer weather is/are perfect (which it was far from in the Northeast last season). That's why the classic is named 'California' Wonder and not Connecticut Wonder. 'Mini' bell peppers like the super-fast-to-mature "Jingle Bells" are cute, highly productive and taste just like the big ones. Quick to ripen medium-sized varieties include "Ace" and "Gypsy", both of which are universally recommended for small spaces, short seasons and first time growers. There are other varieties that will also work well in the North; look for shorter-than-average maturity dates. And don't eat them green!